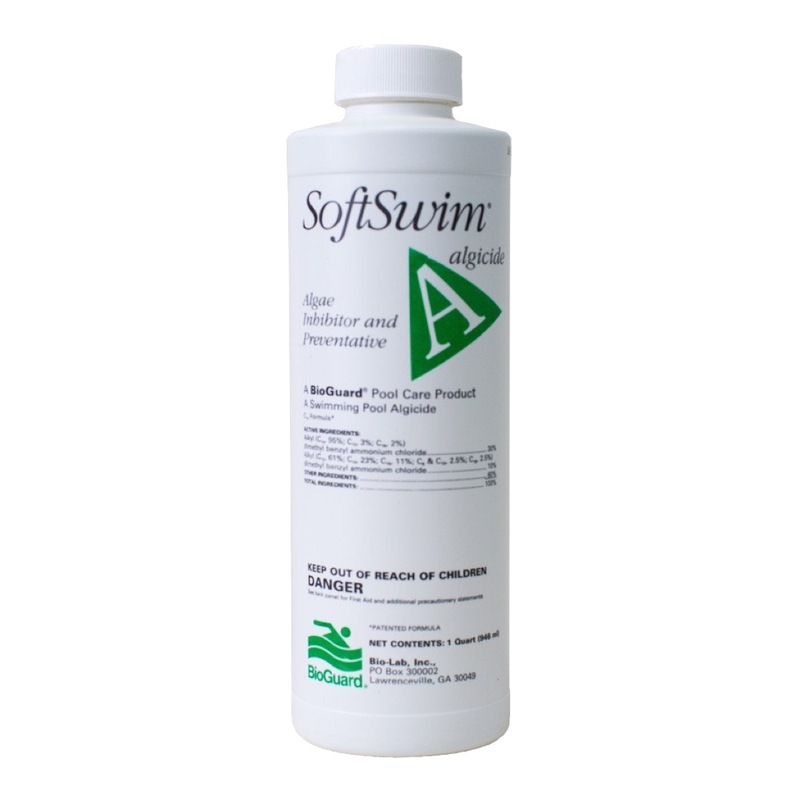 SoftSwim Filter Aid is a powerful clarifier and flocculant designed specifically for use with you SoftSwim Non-Chlorine pool chemical system. Backwash and clean filter according to the manufacturer’s instructions and return filter to normal cycle. 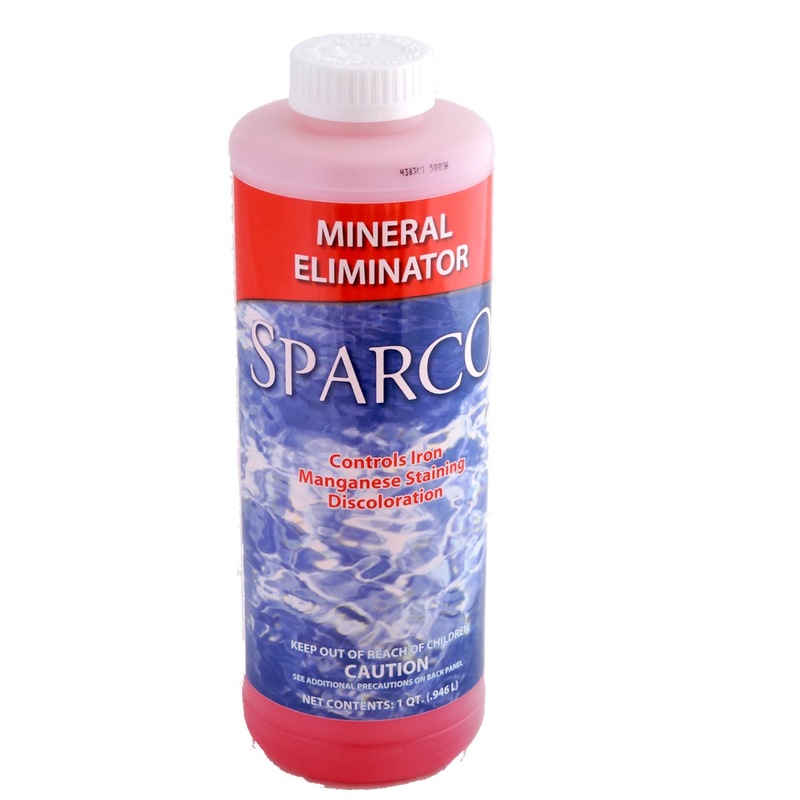 For pools ranging from 10,000 to 35,000 gallons, predissolve 1 to 2 ounces of this product outdoors in a clean plastic bucket using 1 gallon of water. The slurry can be stirred with a plastic or wooden spoon. Slowly add the slurry into the skimmer with the pump running. 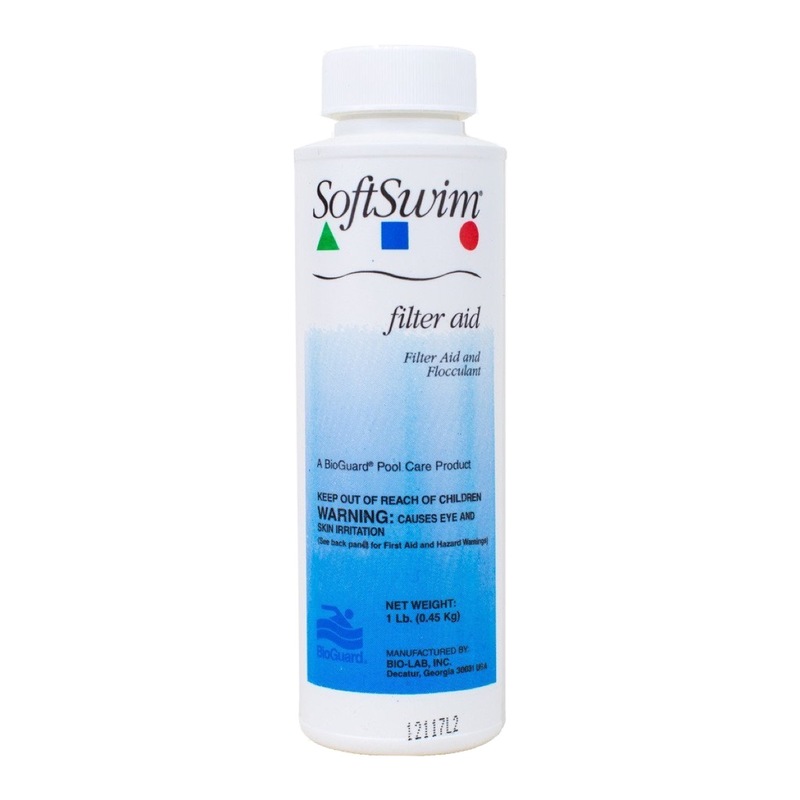 Filter continuously for 24 to 48 hours or until the pool clears. If the filter pressure increases 8 to 10 psi above normal pressure, backwash and clean filter as necessary. Backwash and rinse filter according to manufacturers instructions. Test pH and adjust to 7.6 to 7.8. Allow pool to circulate for 2 hours before proceeding to the next step if pH adjustment was necessary. Raise the water level in the pool to the top of the skimmer box and turn the pump off. 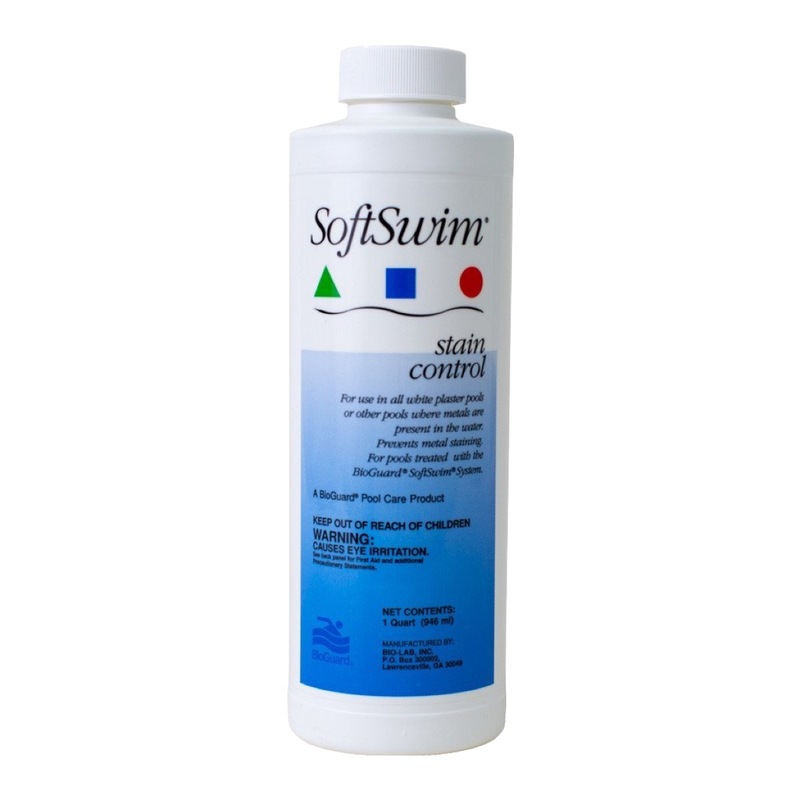 Use this product at a rate of 1 pound per 6500 gallons of pool water. Predissolve outdoors in an empty plastic bucket 1 pound of this product with 1 gallon of water. Stir with a plastic or wooden spoon. Pour the solution along the edges of your pool. Allow 24 to 48 hours for the flocculant to settle on the bottom and slowly vacuum out. If some of the floc becomes suspended, allow an additional 24 hours for it to settle and then slowly vacuum out. Check and adjust pH and total alkalinity as necessary and resume normal maintenance.